A jam-packed day of intense wagering action culminates Saturday night at UFC 232, headlined by the return of former Light Heavyweight Champion Jon Jones (-265) as he grapples with Alexander Gustafsson (+225) in a rematch from UFC 165. The co-main event pits Women’s Featherweight champ Cris Cyborg (-235) versus Amanda Nunes (+200). Place a bet in our all-new Player Props software and your first wager is refunded if it isn’t a winner. 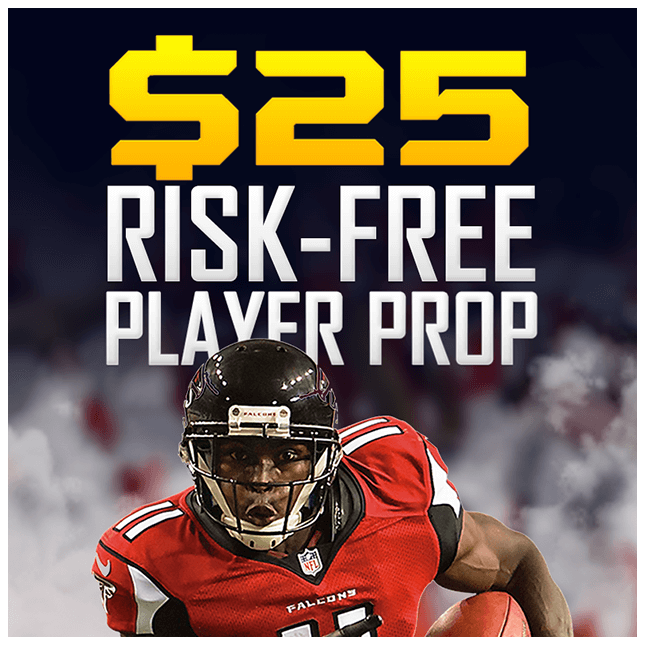 Use the unique player props software to create your own props wagers and we’ll match your first ever wager with a Free Play, up to $25, if it loses. Ever miss a kick-off or lay off a winning pick? Everyone has. With our cutting edge Live In-Game Betting platform, you can get in the action as it unfolds in real-time. Try it out risk-free now. 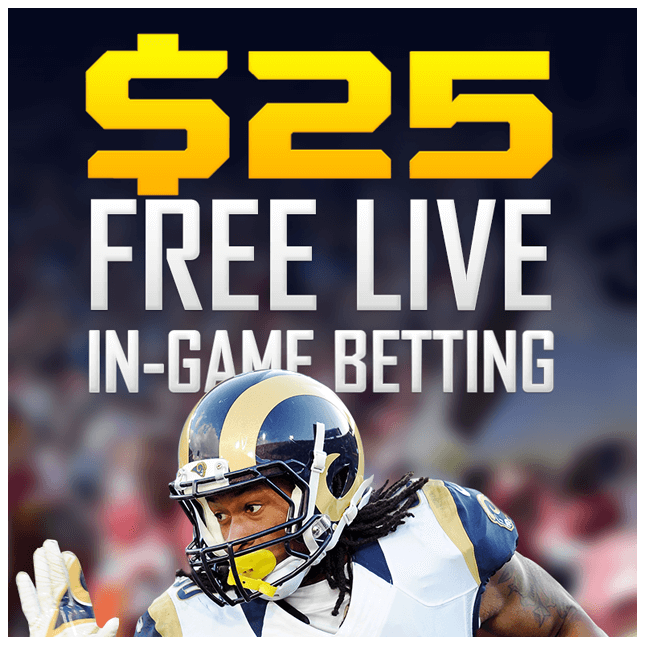 For a limited time, we give you a free $25 bet if your first bet using our new Live In-Game Betting platform is not a winner. Haven’t tried mobile betting yet? Now is the time to try. 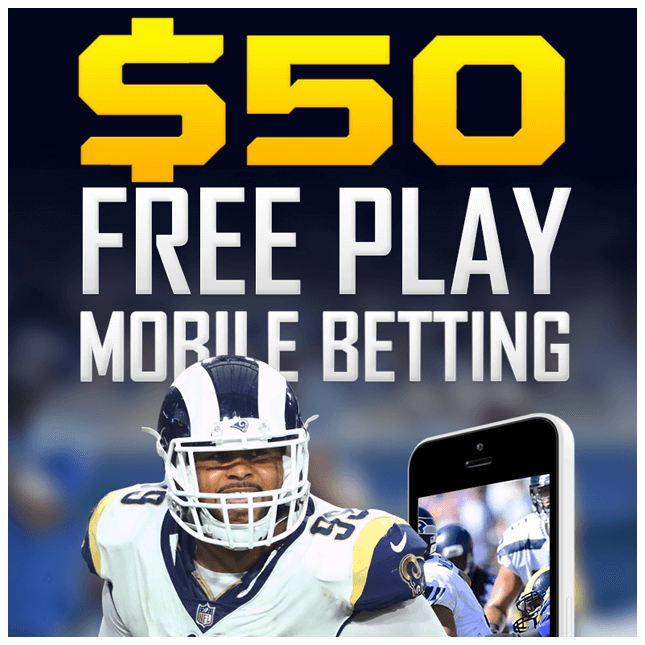 Receive up to a $50.00 free play when you place your first-ever Mobile sports bet. All you have to do is place a sports bet from your smartphone or tablet. If your bet wins, congratulations: you are already scoring a profit from Mobile betting! However, if your bet loses, we’ll reimburse your bet with up to a $50.00 free play. You’ve got nothing to lose – literally – so take advantage of the offer today! Previous ⚽ Liverpool vs Arsenal Super Derby!